There’s nothing like ringing in the holiday season with some eggnog. 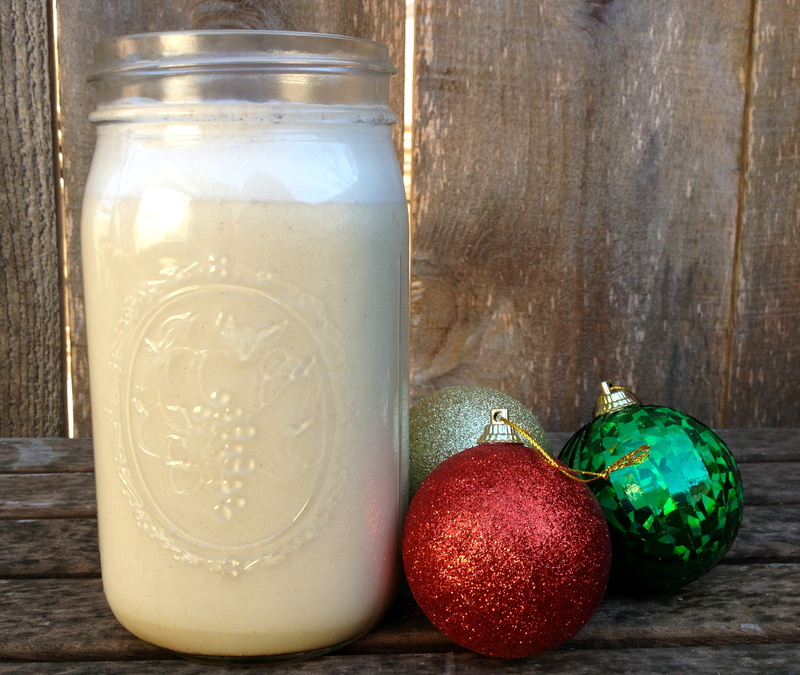 With a base of eggs, cream, or milk, traditional eggnog is decidedly not vegan. 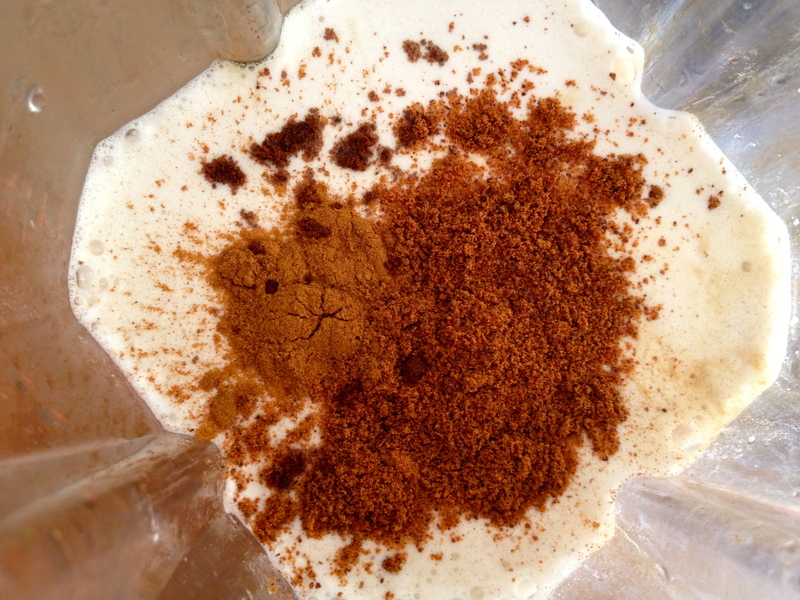 But last December, nostalgia swept me into the holiday, and I felt compelled to make vegan eggnog. This eggnog is smooth, creamy, and well-spiced. A taste of the holidays in a glass! This could be the first time ever that all of the necessary ingredients were already stocked in my kitchen. 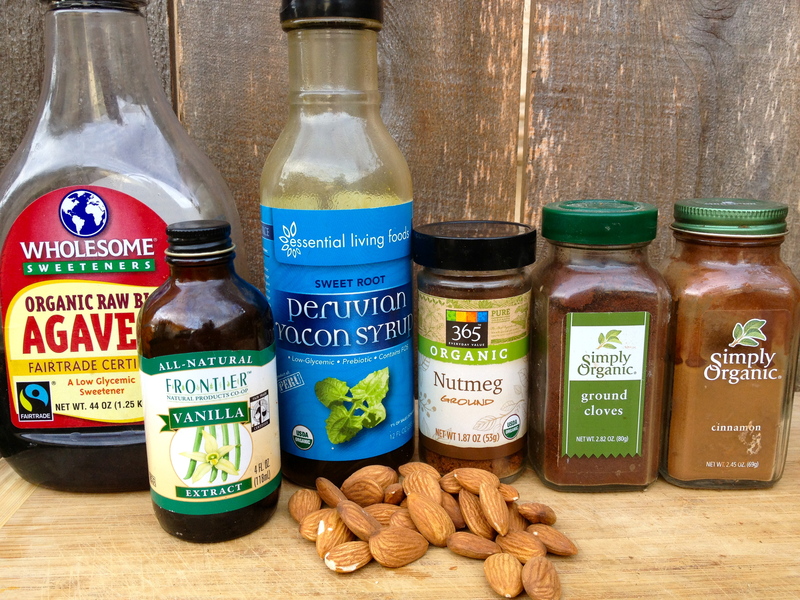 Most are typical – almonds, agave, vanilla, and spices. The outlier was Yacon syrup. Yacon syrup is a sweetener made from the South American Yacon root. It tastes like molasses and can be used in cooking and baking. I had used it once before for an icing recipe and was excited to try it again. As I researched Yacon syrup for this post, I was surprised to learn about its potential health benefits. Yacon syrup has a low glycemic index, is relatively low in calories, contains beneficial bacteria, and may help to control appetite and food cravings. It may also help with the absorption of dietary minerals and increase the efficiency of the immune system. Now back to the recipe! 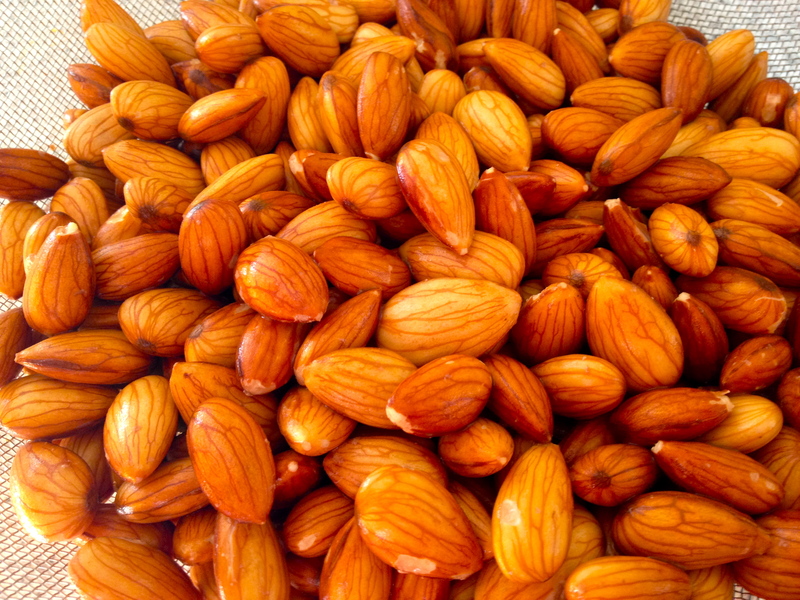 The first step is to place the almonds in a bowl and cover them completely with water. 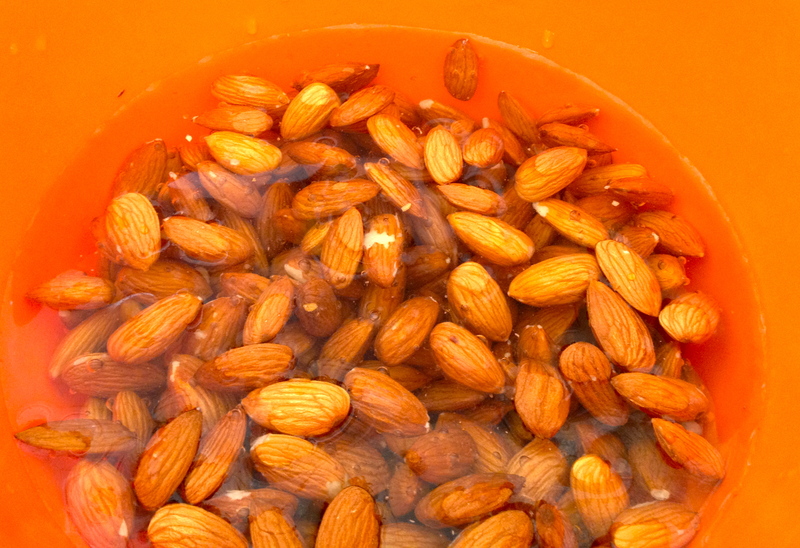 The almonds absorb quite a bit of water while they are soaking. Then combine the almonds and the water in the blender until smooth. 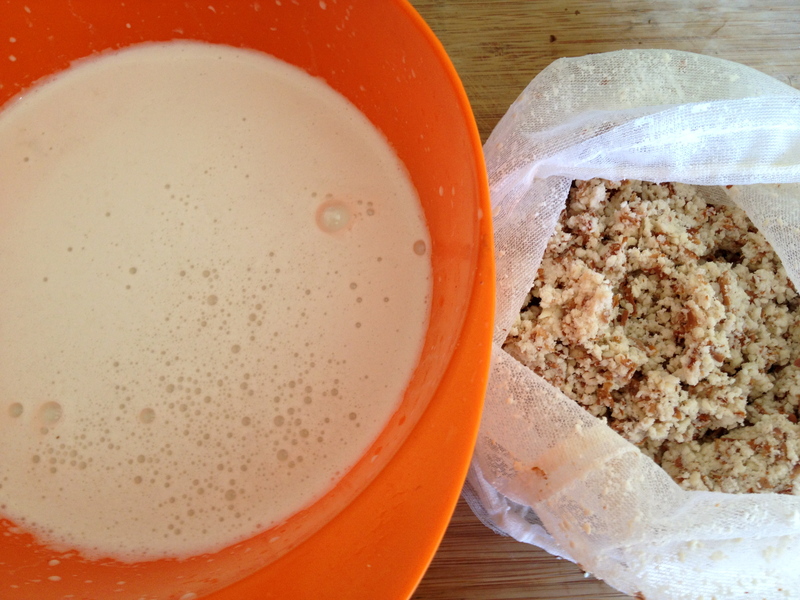 It is then time to strain the mixture through a nut milk bag. I use the Amazing Nut Milk Bag pictured below. The one-gallon, oval shaped nylon bag is sturdy, reusable, and easy to clean. 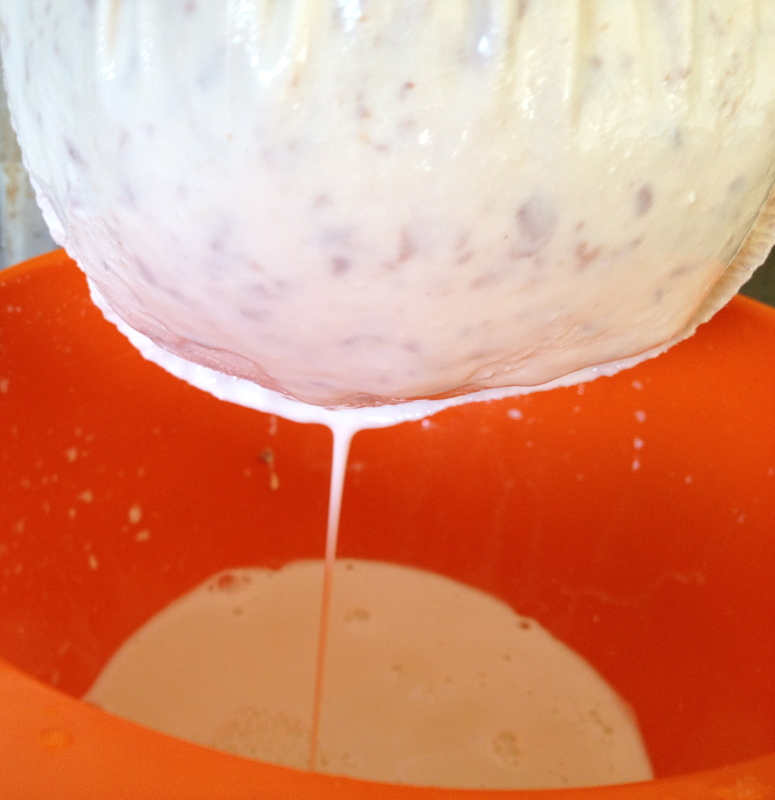 I have also heard of people using a cheese cloth to strain nut milk, but I have no personal experience with the cloth. It’s then time to combine the remainder of the ingredients with the almond milk. 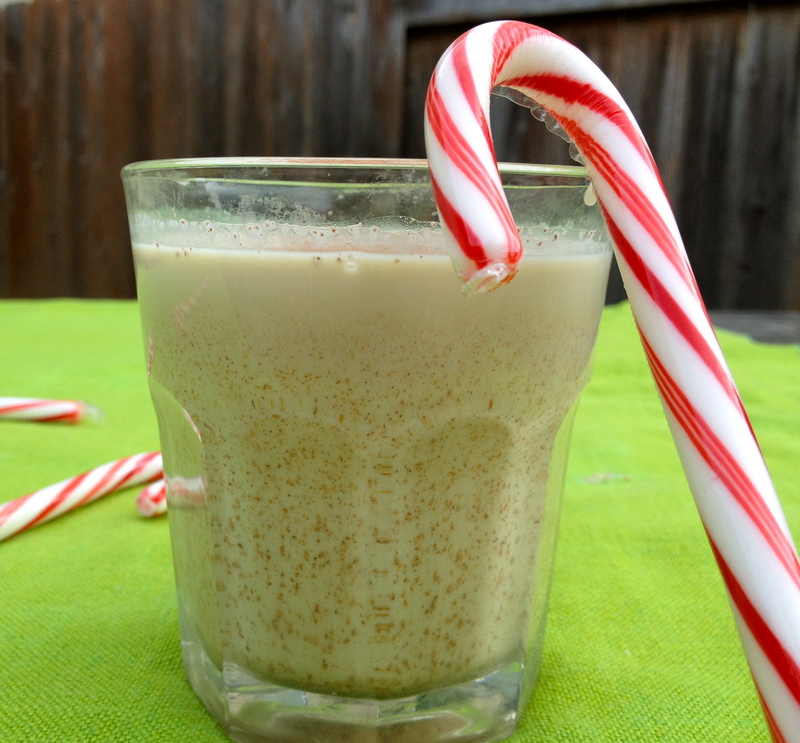 I love this vegan eggnog. It heralds the holiday season. And of course, if you want to take it up a notch, try adding some spiced rum!